Isaac Young is a highly accomplished musician, most notably regarded as the leader of the widely acclaimed and award winning Isaac Young Quartet (IYQ). Since 2006, audiences far and wide have enjoyed Young’s clever compositions, as well as his technical fluency on saxophone, EWI a multitude of pianos and Hammond B-3. In 2009, Young received his B.M. in Jazz Studies from the Jackie McLean Institute at the University of Hartford. Since then, his music has taken on a life of its own, dazzling audiences in places all over the country. Young has appeared at many prestigious venues throughout the country such as Nectar’s in Burlington VT, New York City’s The Bitter End, The Way Station, Connecticut venues such as The Bushnell, Simsbury Meadows, Black Eyed Sally’s, The Arch Street Tavern as well as numerous venues and major festivals across the East Coast, Midwest, South, and across the Pacific Northwest. 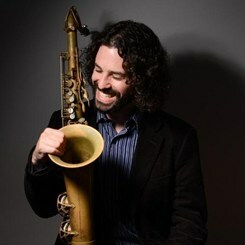 Young has also been on numerous radio and television appearances in the CT area, and with the IYQ, received the 2012 and 2013 Connecticut Music Award for “Best Jazz” as well as two New England Music Award nominations. Young recently has been on multiple national tours with New London, CT singer/songwriter Daphne Lee Martin and continues to tour the country extensively with her. He as also appeared on recordings with bands like 1974, and The Balkun Brothers, Robert Fullerton, Daphne Lee Martin, and other local and national acts. Additionally, he still finds the time to be an active music teacher in the Hartford area, a post he has proudly held since 2006. Request Lessons with Isaac Meyer today!